Hotel Appartement very good stayed in 2 bed room Checked in and checked out was very easy Mr. Mahmood explained very think about hotel service and near by place to visit. Stayed with family (2 Adult and 3 kids) Food at Resturant was tasty and not expensive. Chief chef miss hayaat was very help fully, she also helped me in arranging rent a car and guy Ibrahim brought rent car for was also very kind . We enjoyed staying in onkel. Lots of restaurants and cafés nearby. Good transport links. Breakfast very good quality. Nabila was very friendly. Staff were happy to provide extra pillow and duvet. Units were clean and brand new. Staff was extremely helpful and responsive to our calls. Location was great. The place is close to major attractions. Located in a quiet, lovely street. The place was extremely clean and the staff was super helpful. I liked the room alot, it’s very nice! Big space and clean. I also liked the pool and that we can swim at night. Highly recommended for families and groups. 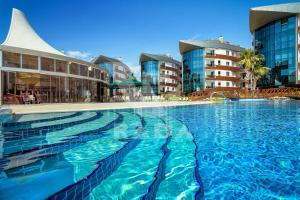 Staff were great, they even help you with transportations and arranging activities for you. The pool was fantastic. The facility’s location is around 15-20 minuets walk to the beach. The restaurant also was good compared to its price. More importantly, the facility has a 24/7 security guard which make you feel safe. Lock in a great price for Onkel Residence – rated 8.3 by recent guests! 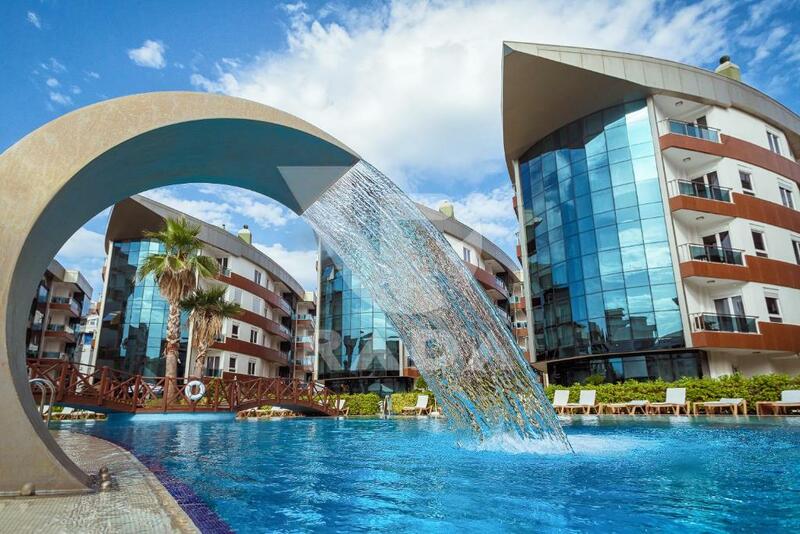 One of our top picks in Antalya.Offering a seasonal outdoor pool, Onkel Residence is located in Antalya in the Mediterranean Region Turkey Region. 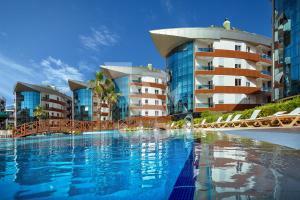 Antalya Aquarium is 3.1 mi from the property. Free private parking is available on site. Featuring a balcony, all units are air conditioned and include a dining area and a seating area with a satellite flat-screen TV. There is also a kitchen, equipped with a dishwasher. An oven and toaster are also available, as well as a coffee machine and a kettle. Bed linen is provided. Onkel Residence also includes a spa center and terrace. Guests can enjoy the on-site restaurant. Grocery delivery and packed lunches are available on request. 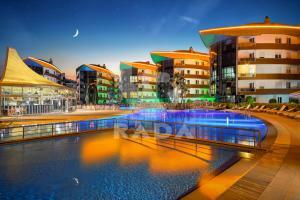 The nearest airport is Antalya Airport, 12 mi from Onkel Residence. When would you like to stay at Onkel Residence? This apartment has a dishwasher, kitchen and balcony. This apartment has a dining area, kitchen and sofa. This room has a balcony, tile/marble floor and air conditioning. Tesisimizde bulunan spa merkezi. Isıtmalı kapalı havuz, sauna, türk hamamı, fitness center, kuaför mevcuttur.Tesisin içinde güler yüzlü,yardim seven, profesyonel çalışan personeller her zaman en kaliteli hizmet vermektedir. Dışarda bulunan büyük yüzme havuzu, restoranında taze ve lezzetli Akdeniz yemekleri bulabilirsiniz. Kahvaltı, fast food, et, deniz ve sebze yemekleri bulunmaktadır. 24 saat bulunan güvenlik her zaman size yardımcı olacaktır.Tesisimize yabancı kişileri alınmaktadır. Tesis bünyesinde kapalı otopark mevcuttur. Basketbol ve voleybol sahalar bulunmaktadır. Çocuklarınızın beğenecek olan oyun parkı. Güvenli, konforlu, ferahlı bir tatil geçirmek istiyorsanız o zaman tek adres burada Onkel Rada Residence! 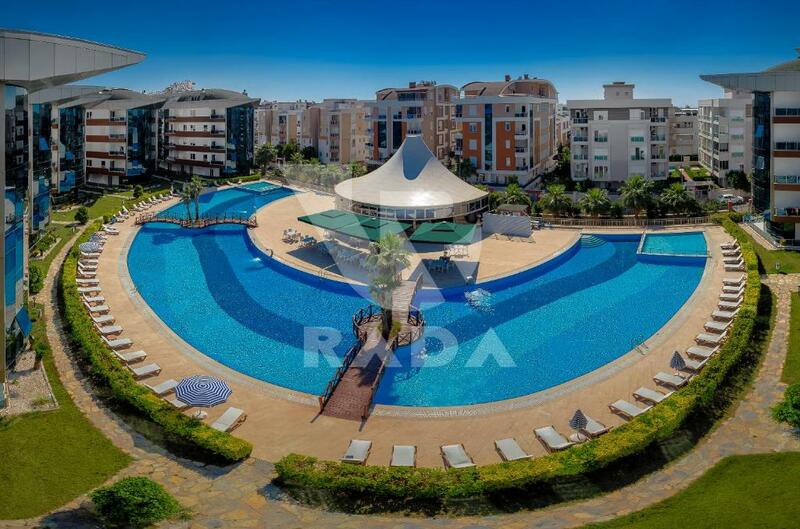 2014 yılında turizm sektöründe Onkel Rada Residence olarak yer alan bir firmayız. Müşterimize her zaman en iyi hizmeti vermek için çabalamaya hazırız. Müşterinin memnuniyeti bizim için en önemli olan şey. Güler yüzlüyüz ve yardım seven insanlarız. 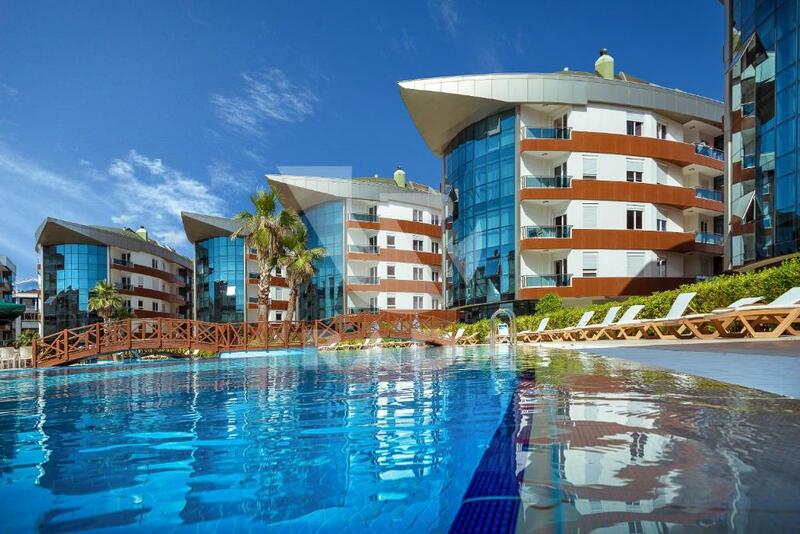 Müşteri bizimle beraber konforlu bir tatil geçirebileceğini emin olabilir. Önemli kentsel yeşil alanlar arasında Antalya Kent Orman, Atatürk Parkı, Kepez Kent Orman sayılabilir. Eğlence parkı olarak Aktur Parktır. Diğer modern eğlencesi olarak Aquapark, Dolphinland, Mini City olarak yer almaktadır. 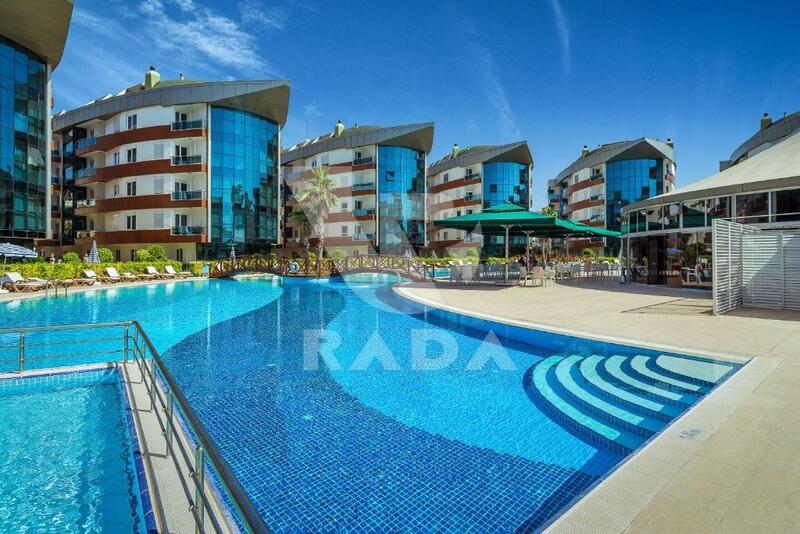 Onkel Rada Residence ten ulaşım olarak sadece 10 dakika vaktiniz alır. Popüler Kayak merkezi Saklıkent, Antalya kent merkezine 50 km uzaklıktadır. Antalya şehir merkezine yaklaşık 10 km uzaklıkta Düden Şelalesi yer alıyor. Aşağı Düden Şelalesi ( denize dökülen şelaledir), Lara şehir merkezine 8 km. uzaklıktadır. Mavi Bayraklı Konyaaltı plajına 10 dakika yürüme mesafedir. Önde gelen alışveriş merkezleri arasında Antalya 5m Migros, Mark Antalya, Terra City, Laura, Shemall, Erasta, Deepo, Özdilekpark yer almaktadır. Yunan göçleriyle kurulan Pamfilya'nın antik kentlerinden Perge'nin kalıntıları günümüze ulaşmıştır. Gece eğlencesi ise Aura Club, İnferno, Crystall diye isim olan gece kulübleri Kemerde sizi bekliyor. Antalya merkezinden 30 km uzaklıktan. 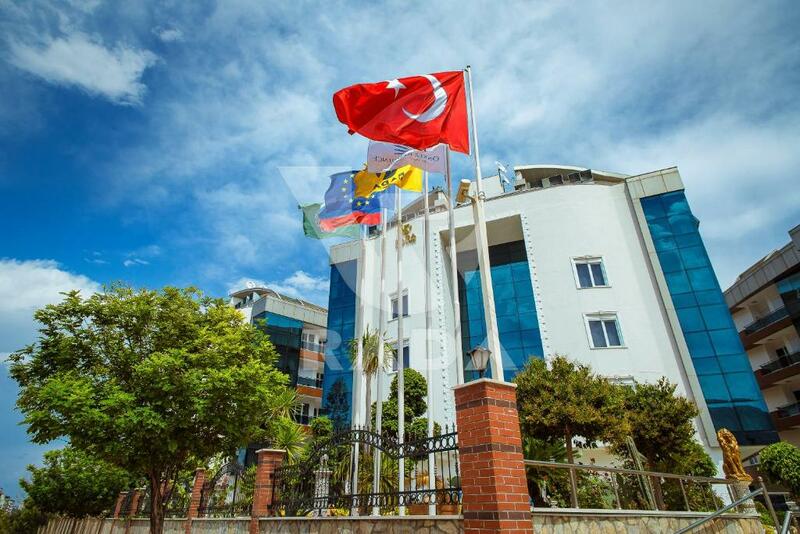 Antalyada güzel zaman geçirebileceğinizi emin olabilirsiniz. House Rules Onkel Residence takes special requests – add in the next step! One child under 6 years is charged EUR 25 per night when using existing beds. Debit card Onkel Residence accepts these cards and reserves the right to temporarily hold an amount prior to arrival. Onkel Residence accepts these cards and reserves the right to temporarily hold an amount prior to arrival. Please note that seasonal pool is open from 20th May to 20th September. Please note that the indoor pool will be closed until 31st March, 2019 due to the maintenance. A damage deposit of EUR 50 is required on arrival. That's about 56.22USD. This will be collected as a cash payment. You should be reimbursed on check-out. Your deposit will be refunded in full, in cash, subject to an inspection of the property. Loved my sray at the onkel residence, the apartment was beautiful and spacious!! Would go again. Well my uncle has booked the same hotel but this chain is booked in 2 parts I’m glad we chose the correct one as the other one he had chosen had no reception in their block and he even had police come question him about his stay etc. So not exactly sure how the booking system works so be aware. Everything was as expected the kitchen tap was wobbly on arrival and the water from the shower goes into the shower floor other than that all was well. Mustafa at reception was very helpfull and as this being the 6th time to turkey found him the most helpfull member of staff I have come across, as well as understanding and speaking English To a good standard a credit to the company. The staff were very unfriendly. Pool was COLD Hygiene was terrible. The cleaners didn’t clean properly even though there was 4 people to clean ONE three bed apartment. THEY STOLE MY MAKE UP and no one did nothing about it. Didn’t like mostafa he was very unfriendly and strategic. Very spacious and comfortable apartment. THE SECURITY STAFF, IRHAN AND HAYAT/BIANCA was amazing. Loved the restaurant staff. The pool was empty while the weather is a pit warm. The cleanliness was the most satisfying. The pool was empty ,I guess because of maintenance. The sound of the people on the next floor above us ,was loud and rowdy especially at three am .. 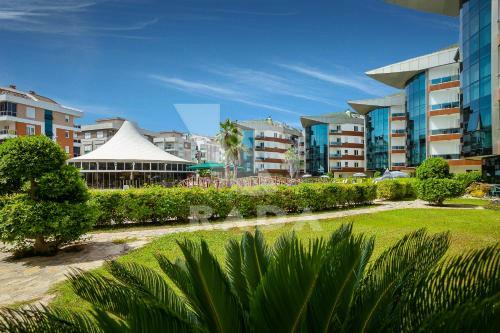 The location was good ,close to restaurants and in a very quiet area .Rooms were comfortable with everything you need .Very spacious apartment, good heating and very helpful staff .